Good Quality budget tripod, ideally suited to scopes up to 2kgs. 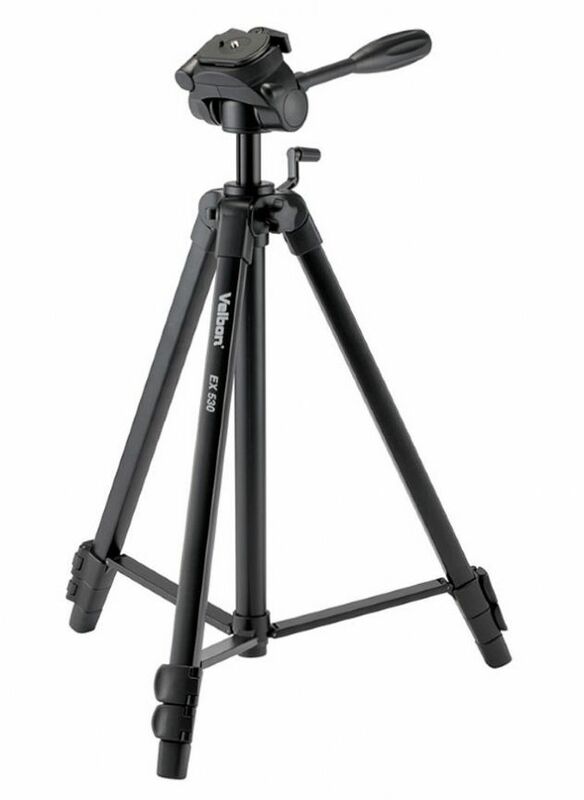 The Velbon EX-530 is an aluminium tripod for beginners and advanced amateurs, complete with PHD-56Q 3-Way pan and tilt head. The camera platform rotates up to 90degrees to the right to allow shooting in portrait mode and a QB-46 quick-release plate is included. Fully extended, using the geared centre column, it can reach a maximum working height of 156cm. Once folded down, it measures 57cm in length. Radial leg braces give the tripod maximum rigidity and stability when it is extended and rubber feet grip well on most surfaces. The EX-530 will support a maximum load of 4kg and the diameter of the top leg section is 23mm. A carrying case is also included.